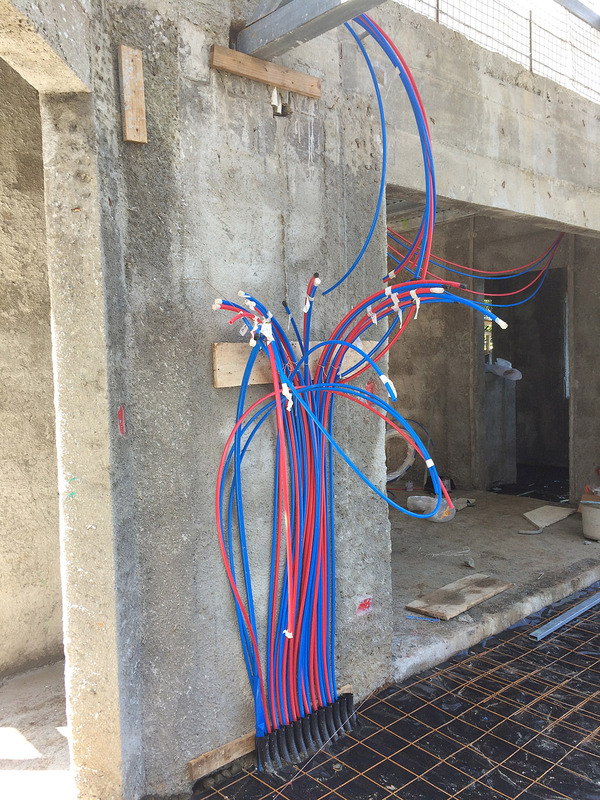 This week was an exciting one because it was time to install the PEX plumbing. What is PEX, you ask. PEX stands for cross-linked polyethylene and is a plastic tubing used predominantly for domestic water supply piping and radiant heating systems in floors. 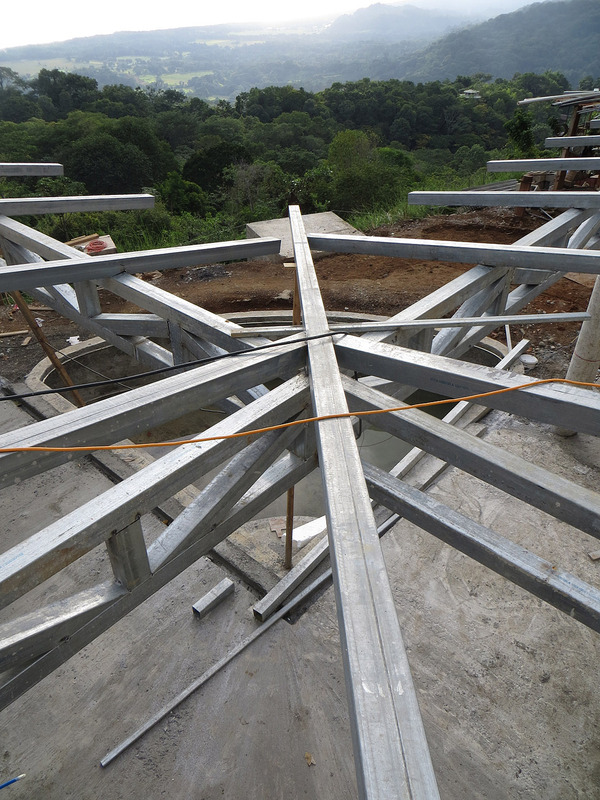 The traditional piping used for drinking water in Costa Rica is PVC. 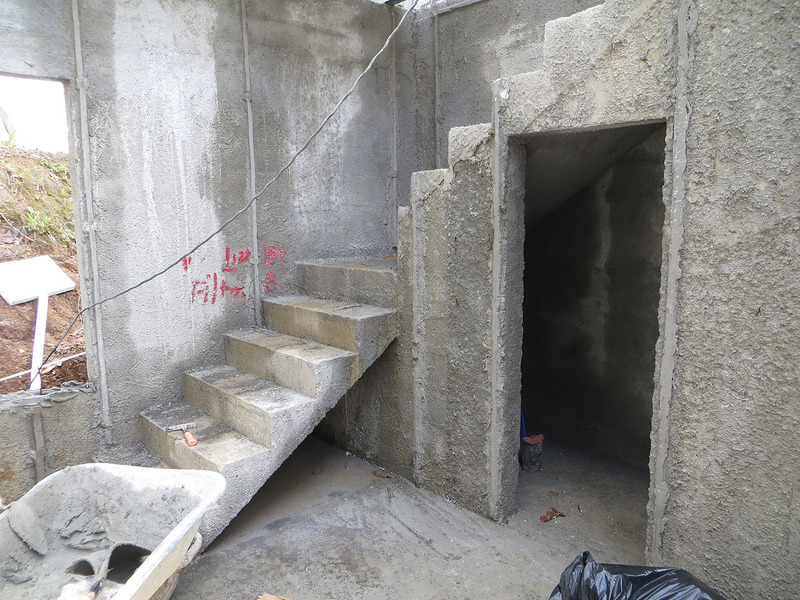 The problem with PVC, especially in concrete construction, is that it is prone to leaks since it is brittle and does not withstand movement within the concrete, especially at the fittings (think earthquakes or even settling). So, I knew from the beginning that I did not want to use PVC in our house. 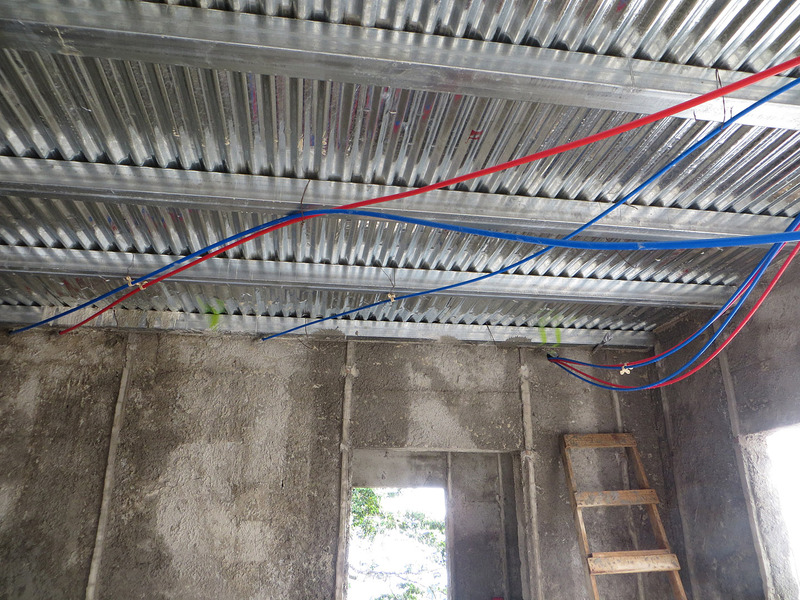 PEX is the perfect solution since it’s flexible and uses very few fittings. 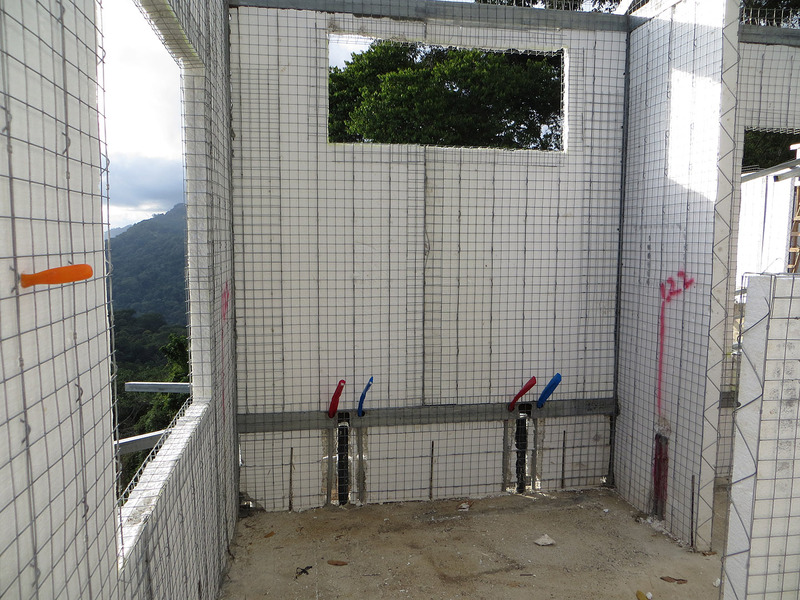 Each point of use (sink, shower, toilet, etc) is supplied by dedicated lines from a central manifold, so there are no connections or fittings – other than at each end. 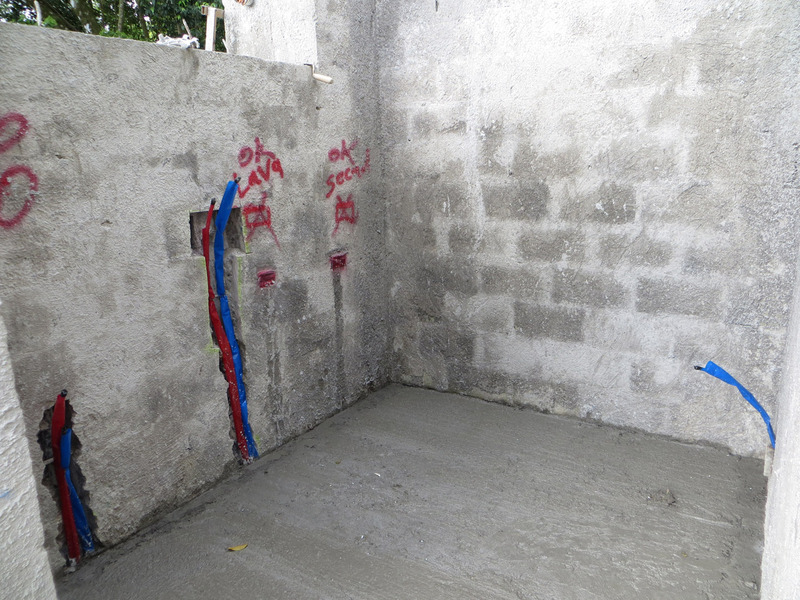 PEX has been used for quite a few years in the US, Canada and Europe, but is definitely uncommon in Costa Rica. I could not find anyone selling it in the country. I did find a Canadian plumber in our area who offers PEX installations (he imports all of his materials from Canada), but his quote to do our house was outrageous. 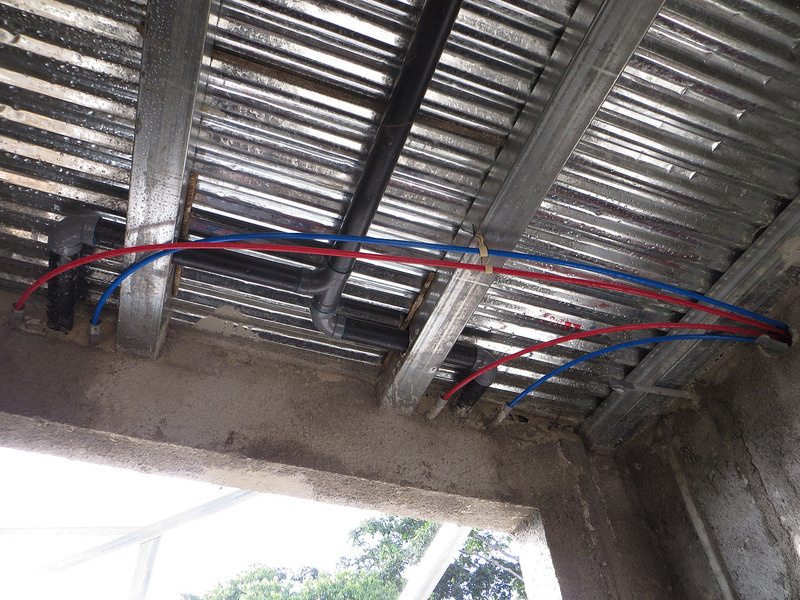 So, I realized that if I was going to use PEX, my only alternative was to import it myself, study up on how to work with it and assist my builder with the installation. 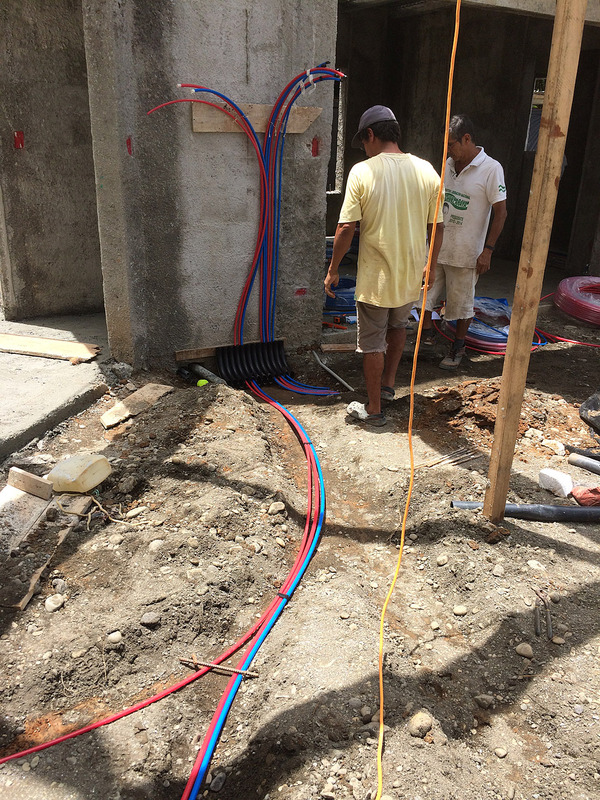 Routing the hot and cold PEX lines to the manifold location. This is where the manifold will be mounted. We’ll cover it with a nice wooden enclosure. 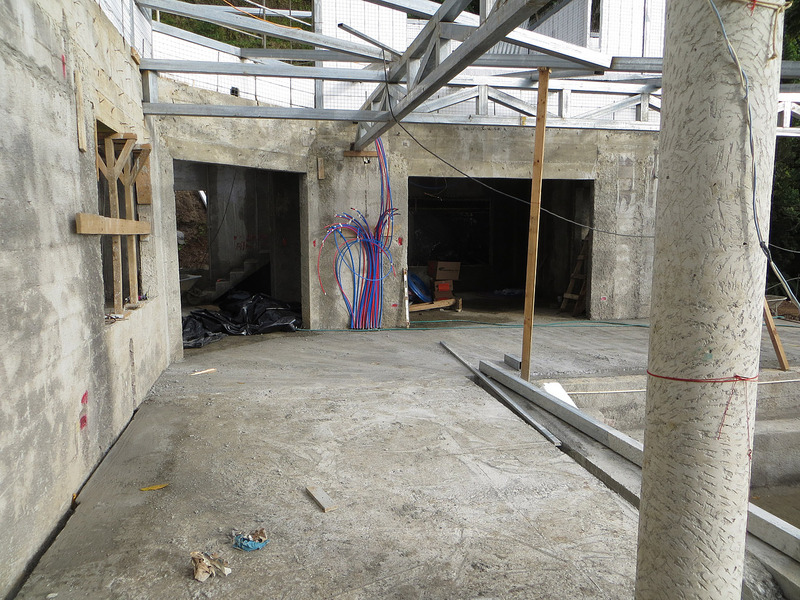 PEX lines for the second floor are routed below and will be covered when the ceiling is installed. Everything went very well. 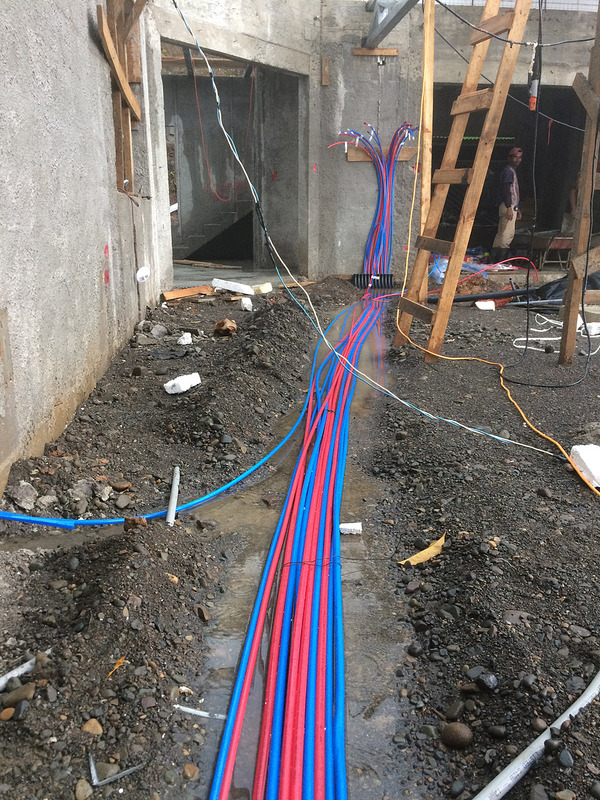 We installed all the PEX lines throughout the house in one day. 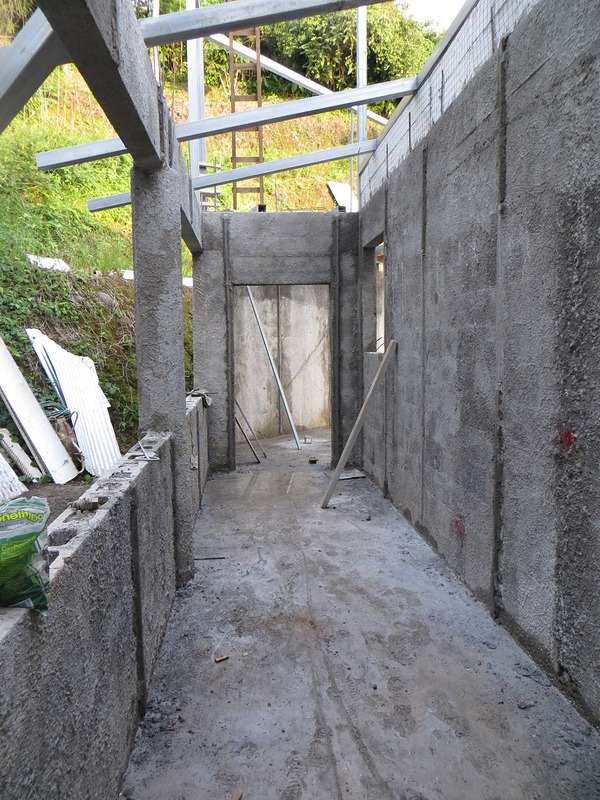 The manifold will be installed once the wall it is to be mounted on gets its finish coat of concrete. 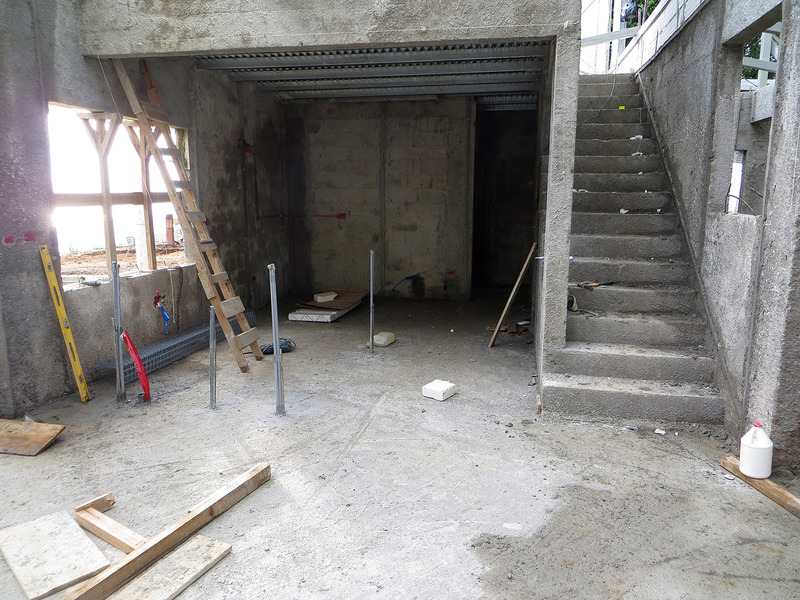 Once the PEX lines were run and buried, the concrete for the floors could be poured. 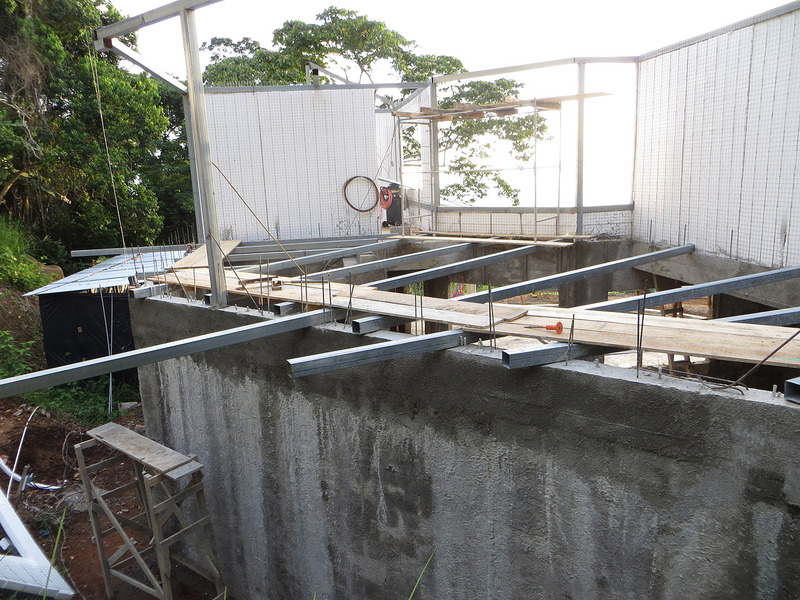 By the end of this week all of the interior floors and part of the outside terrace had been finished. The laundry room with newly poured floor. 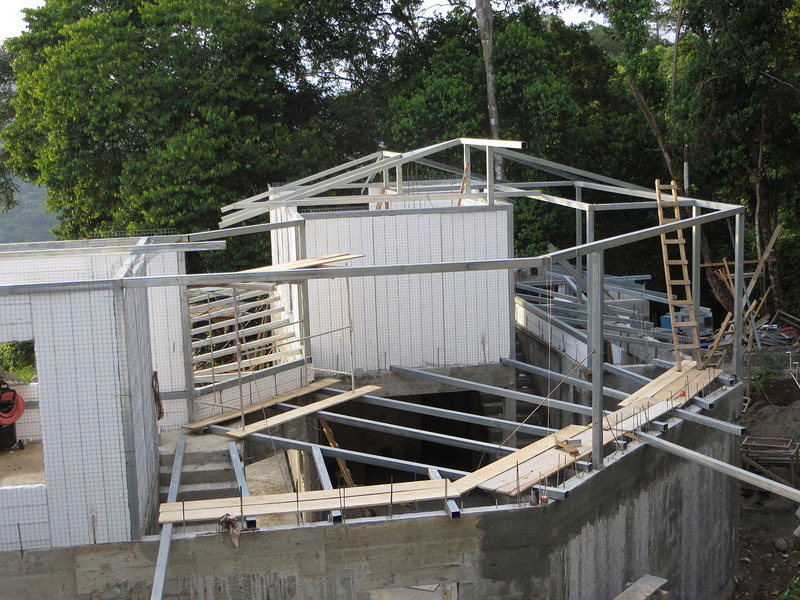 Work continued on framing the roof…finishing up the lower roof and starting on the upper roof. 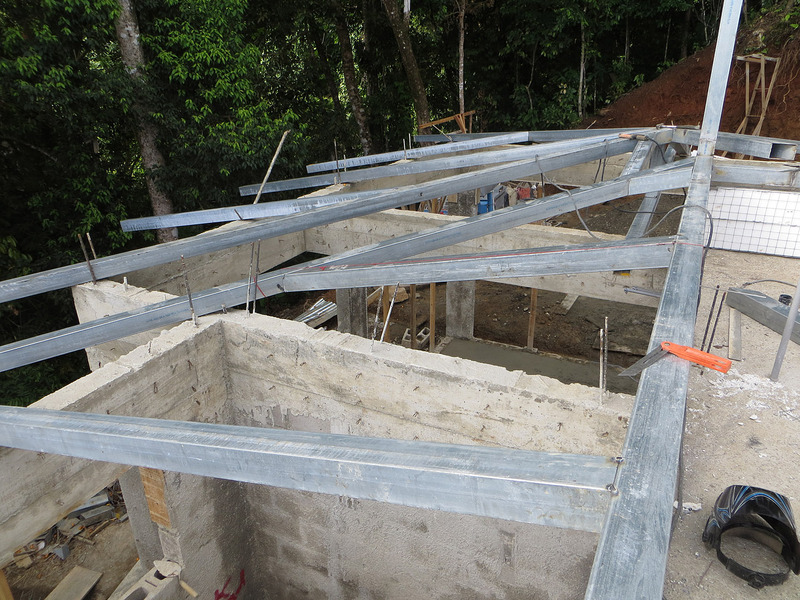 Here you can see the framing of the upper roof being started. 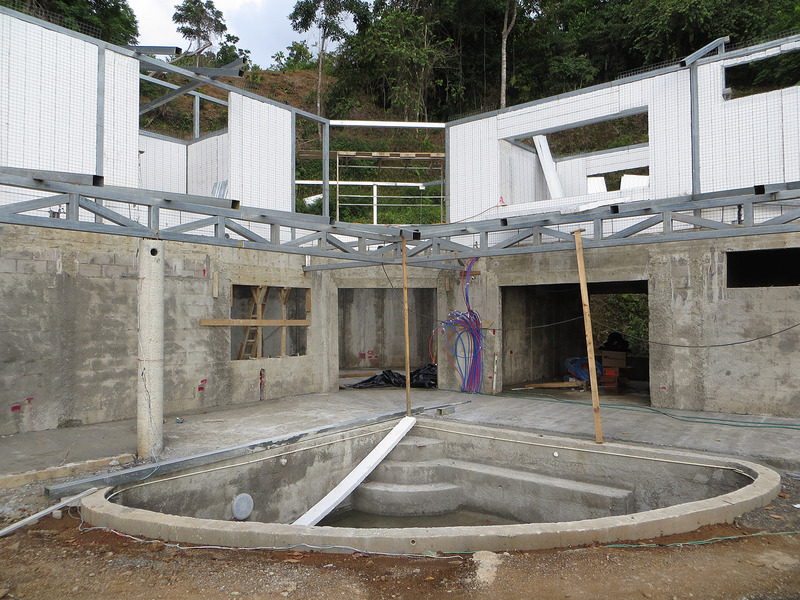 The steel beams laying across the walls above the living area are there temporarily to provide a work area while constructing the upper walls and roof. 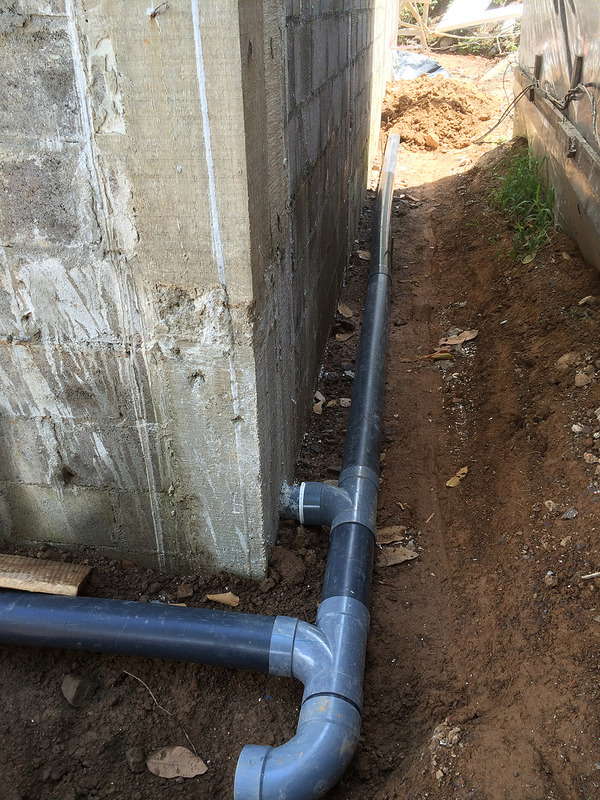 Here are drain lines for rain water from the roof. On a side note, today we had a crew come to give some of the trees around the building site a haircut. As you can see from the photograph below, this really made a tremendous difference in the view to the north. This entry was posted in Building our House and tagged building a house, house building project, house construction, PEX, plumbing. Bookmark the permalink.